Following on from yesterday we again feature some images from the photo album of ‘D.Lauder’ a young British woman who may have worked as a Nurse attached to the French Army who visited the battlefields between Reims and Verdun 1925. Navarin Farm was a position on the Champagne Battlefields of 1915 which saw heavy fighting in the fighting of September 1915. 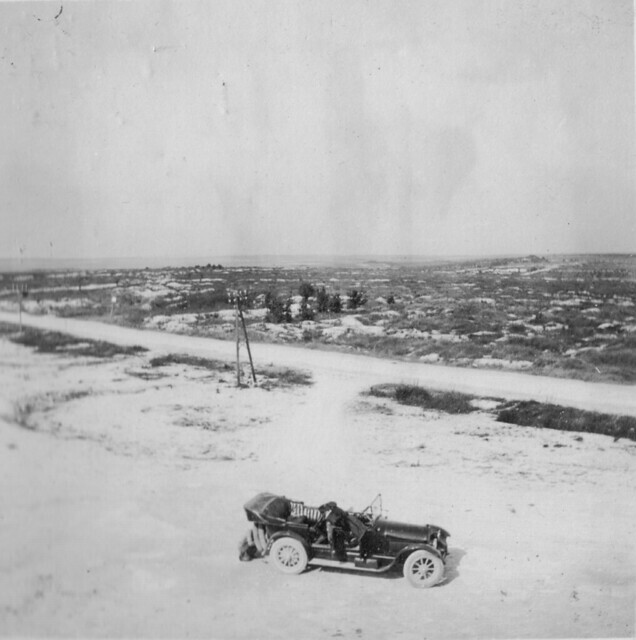 French troops assaulted and captured the German positions here at great loss and it soon became a household name throughout France. After the war it was selected as one of the sites to build a French National Ossuary. 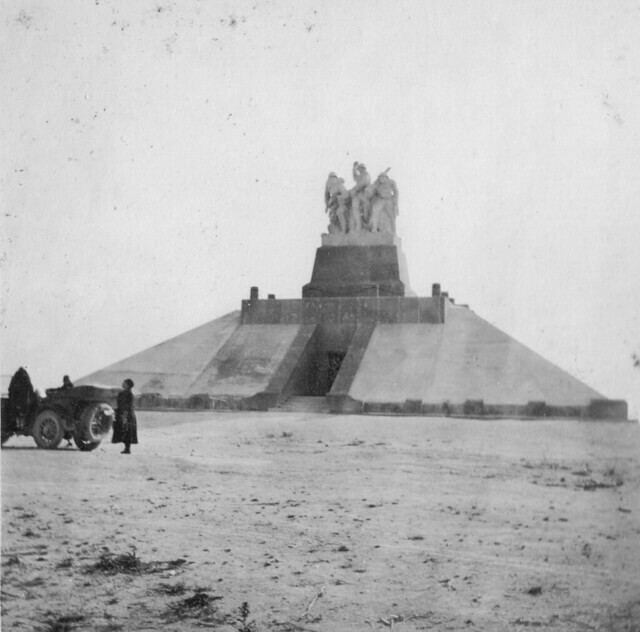 The ‘pyramid’ memorial to the Armies of the Champagne was unveiled in 1924 and not only contains numerous memorials to those who fought here but underneath are the bones of more than 10,000 men who fell on the Champagne battlefields. Today part of the desolated ground around the memorial is still preserved but the view in 1925 (below, taken from the Navarin Farm monument) gives an idea what the war had done to battlefields like the Champagne. This entry was posted on 07/02/2012 by sommecourt. It was filed under Battlefields, Champagne 1915, France, French Army, Great War, Western Front, WW1 and was tagged with Battlefields, Champagne 1915, French Army, Navarin Farm, Pilgrimage. I always found it quite shocking to read about the Ossuary and several around. I feel that it was disturbing the bodies of the dead and not giving individual men their own grave. A rather grotesque tribute to the dead.